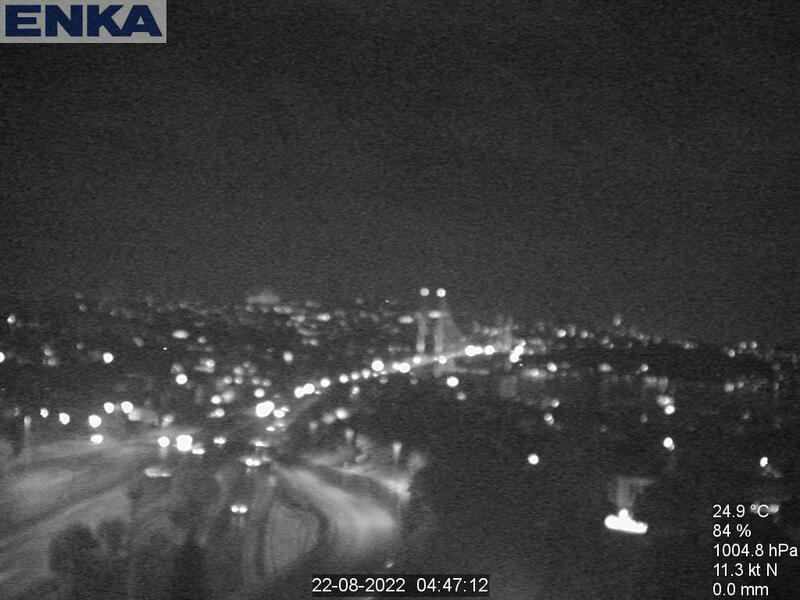 Live webcam shows Bosphorus Bridge through the Bosphorus Strait in Istanbul, the webcam picture is updated every minute. Bosphorus Bridge is the first suspension bridge through the Bosphorus Strait, it connects the two parts of Istanbul: European and Asian. The bridge has a length of 1560 meters and a width of 33 meters, a length of the main span is 1074 meters at an altitude of 165 meters above the water level. Bosphorus Bridge was built in 1973, then it was the longest suspension bridge in the world, today it takes 22 place in the list of the longest bridges in the world. Every day through it passing more than 200 000 automobiles and drive about 600,000 people. Trip through the Bosphorus Bridge is paid, and it is closed for pedestrians. Views: 2527 | Insert at: 28.11.2016 | Commentaries: 0 | I want to there!